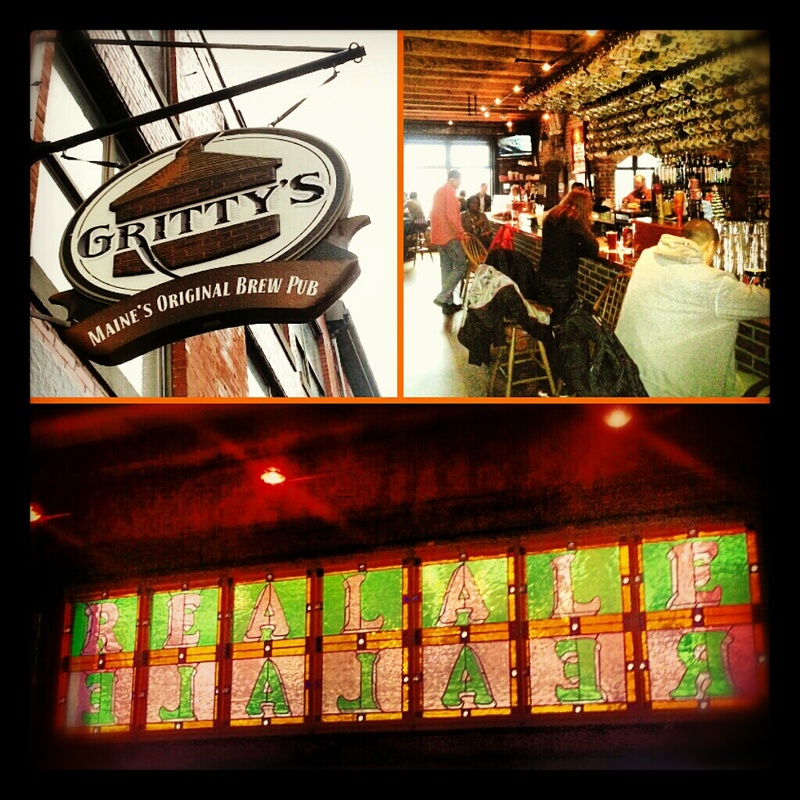 Gritty McDuff’s Brew Pub in Portland, Maine’s Old Port neighborhood is “Maine’s original brew pub”—it was Maine’s first brew pub since the end of prohibition, and it opened in 1988. I stopped by Gritty’s for a few pints a couple of weeks ago during Portland Beer Week, and it turned out to be one of my favorite watering holes I found in a city that’s packed with quality drinking establishments. The brew pub is just a few blocks from the Atlantic Ocean, and you can see the waterfront area through a back window on clear days. The bar is topped with shiny, battered copper. 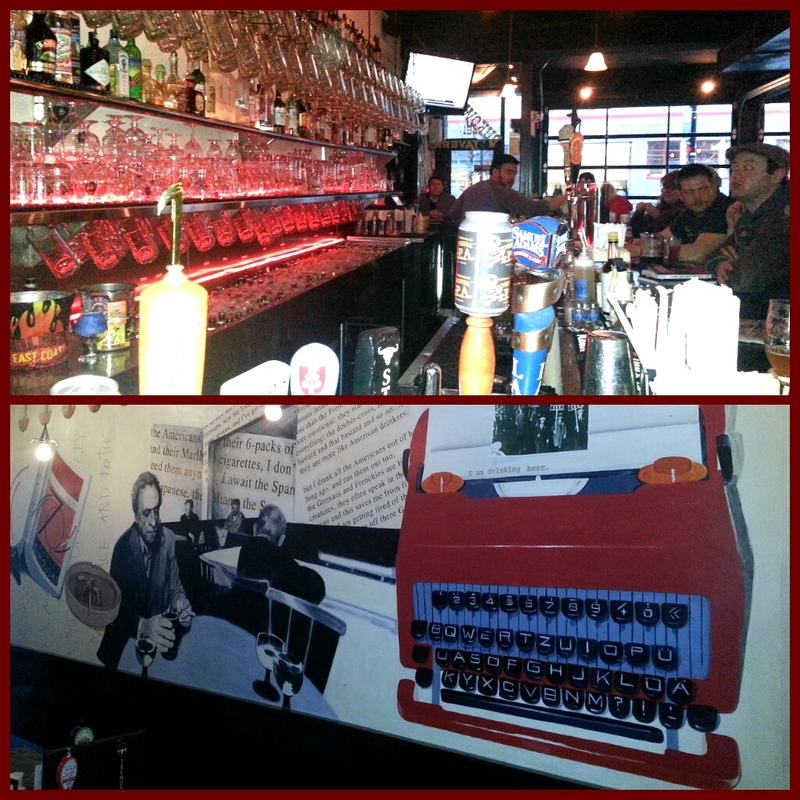 The bartender was friendly and quick to offer recommendations for other nearby bars and attractions. I didn’t have any food, but I Gritty’s offers a wide range of pub grub. All of the “real ales” at Gritty McDuff’s are brewed on premise, and it shows; the beers I had were extremely fresh. I’d had a few different Gritty’s beers before my visit; Gritty’s Black Fly Stout isn’t difficult to find in my home city of Boston. 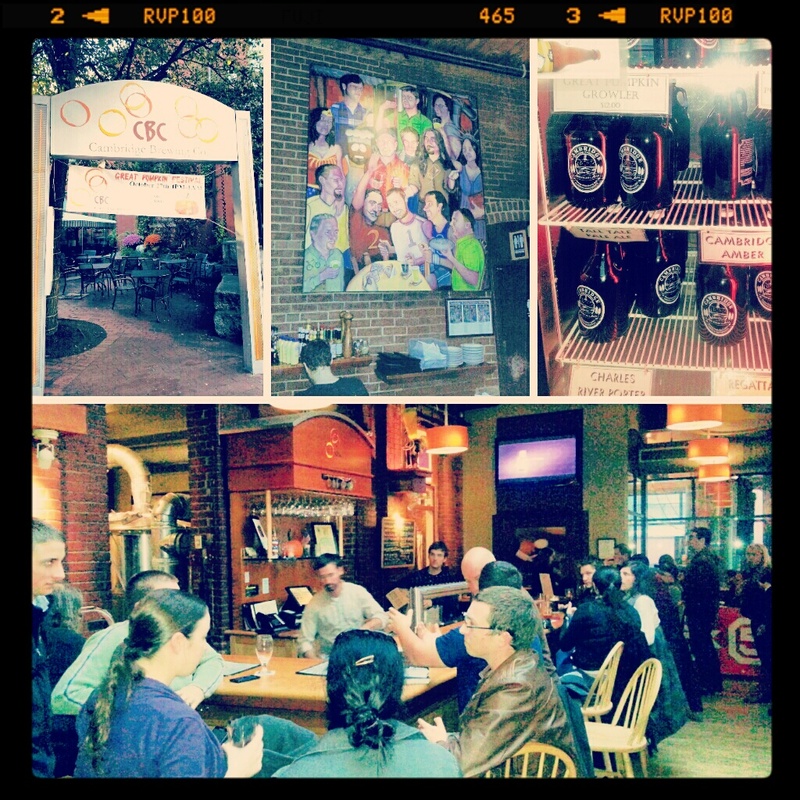 But the draft version I had at the brew pub was even more delicious, a truly fine stout. Gritty’s regulars can pay $75 a year to join its Mug Club, which gets you a 21-ounce, white ceramic mug of your own and five more ounces of brew for the same price as the standard 16-ounce pints. 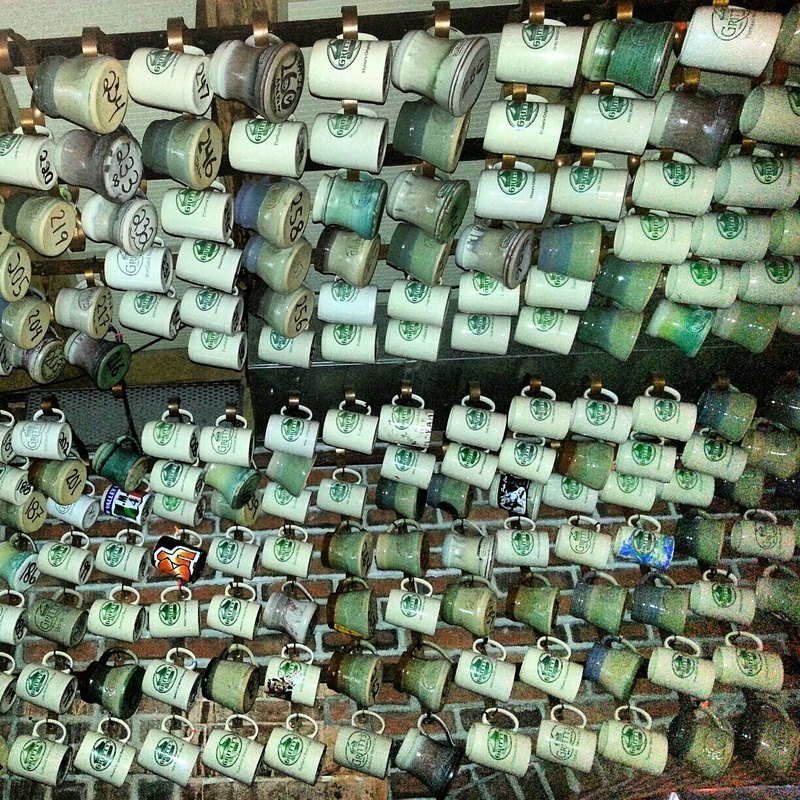 Five-year Mug Club members get special colored mugs that are even larger. And every Gritty’s pub—there are two more of them, in Freeport and Lewiston/Auburn, Maine—offers two-dollar drafts for Mug Club members two nights a week. If you’re ever in Portland and have a hankerin’ for a real ale, you’ll find a friend in Gritty McDuff’s. 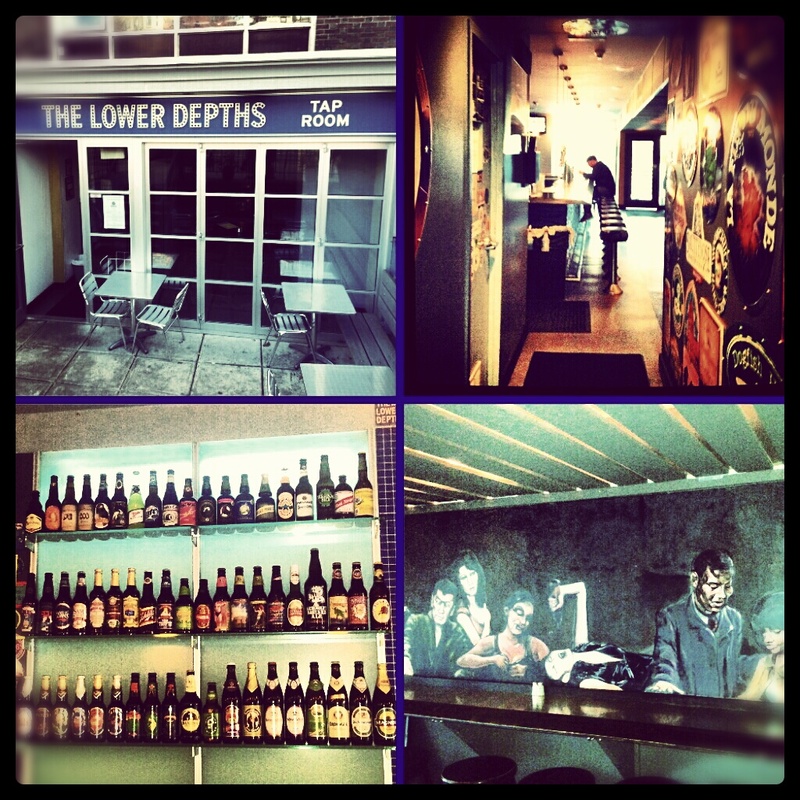 Day drinkin’ at The Lower Depths in Boston’s Kenmore Square, which sits near the top of my best Boston beer bars list. Brewer’s Coalition in Newtonville, Mass., is located right outside of Boston and less than a mile from the Massachusetts Turnpike. Newtonville is a yuppyish suburb west of Boston, and that’s quickly apparent after rubbing elbows with the Brewer’s Coalition clientele. That’s not to say, I don’t like the bar, which is an offshoot of the popular John Brewer’s Tavern restaurants in Nearby Waltham and Malden, Mass. It’s just not exactly a hip scene. The beer selection is decent for a location like Newtonville, but it’s definitely nothing special when compared to other beer bars in the Boston area. The two things Brewer’s Coalition really has going for it are its friendly (and easy-on-the-eyes) bartenders and its selection of local Massachusetts and New England beers. The bar claims to have 50 craft beers available; I saw 20 taps and maybe twice that number of bottles, many of which were local. The bar also serves bar food, but I never hang around long enough to try any of it. 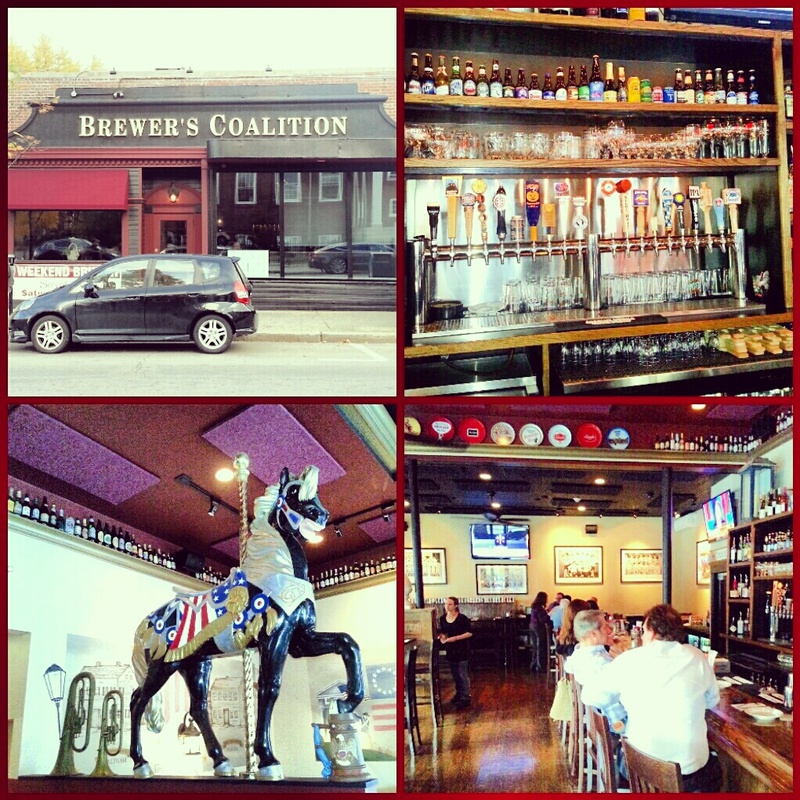 Brewer’s Coalition isn’t really worth driving out of your way for, but if you happen to be heading west out of Boston and you need a road soda, or if you’re just passing through the Newtonville area, you could find a friend in this pseudo beer bar. I’m a little disappointed to see that none of my favorite beer bars are listed in CraftBeer.com’s online poll for best American beer bars. I spent quite a bit of time hunting for the best beer bars in Massachusetts, New York and California, and there’s only one bars I’m familiar with on the list that I’d consider to be a great beer bar. That’s Armsby Abbey in Worcester, Mass. Alas, I admit haven’t been to all of the nation’s best beer bars—I plan to do my best to get to as many possible before my liver quits on me. But I thought I’d give the CraftBeer.com poll some attention. If you, like me, don’t know many of the bars listed here, why not give Armsby Abbey a vote up? 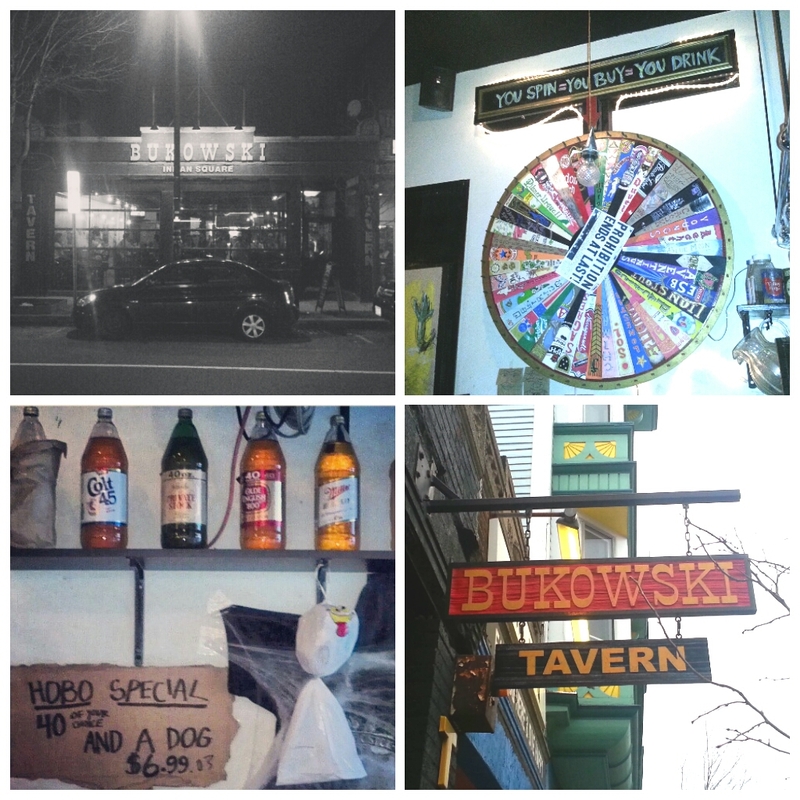 It’s a great bar in New England’s second largest city after Boston, and they deserve it. I promise. 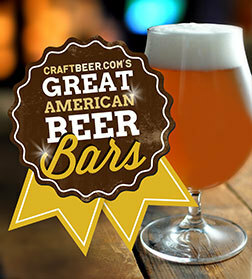 Check out the all the bars that were nominated for CraftBeer.com’s great American beer bars and cast your vote here.